Slow Down At OOP Coffee In Bel.. These may not be typical words for an investment banker, but Yozo Otsuki, formerly of Goldman Sachs, isn’t typical. After leaving his position in Tokyo and following his wife to Sydney, Australia, Otsuki decided to take a break from banking and think about what he wanted to do next. His fondness for the simple and understated beauty of Japanese homeware led him to start Kurasu, an online store marketing his favorite lifestyle products to Australia. After roughly two years of operation, Otsuki noticed that nearly 60% of his sales came from his coffee-related items and decided to follow the trend. He shifted the site’s focus exclusively to coffee goods, moved his shipping operation directly to Japan, and aimed for a global market. The gamble paid off, and things have gone well for Kurasu. A look at their online catalogue gives some insight into why. The products on Kurasu’s website are hand-picked, and the emphasis is on craftsmanship and aesthetic value over quantity. The store sells mostly manual brewing hardware; drippers, kettles, carafes, and mugs are all featured and the selections change often. The collections of ceramic mugs made in the pottery town of Hasami in Nagasaki are a perfect example of what Kurasu adds to the coffee community: a unique, artisan product that normally would only reach design and pottery fans within Japan now has a global audience. The site also offers a coffee subscription service which features specialty coffee roasters from throughout Japan. Each month a different roaster is selected, some of whom—such as Light Up Coffee, Trunk Coffee, and Glitch Coffee Roasters—Sprudge readers may be familiar with. Kurasu pairs its subscription coffees with stories and photos of the people behind the beans, giving drinkers a more intimate connection to their beverage. As the site has built a following, Otsuki began to get questions about a physical location. The idea made sense. 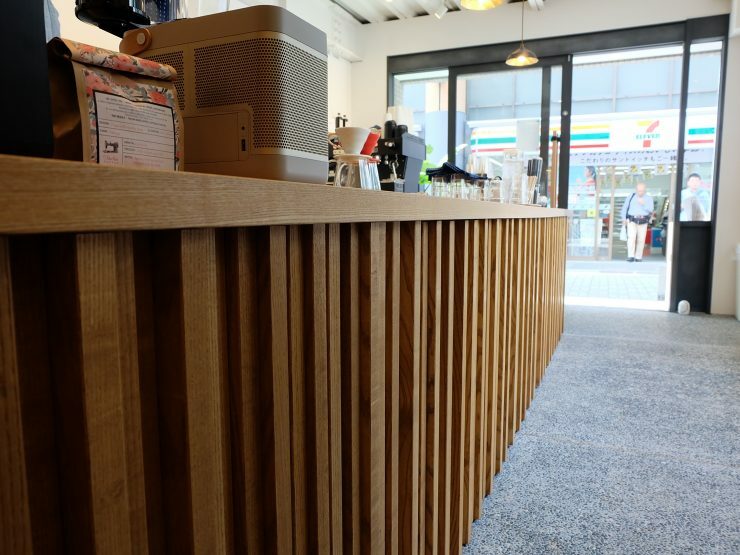 A brick-and-mortar shop would give a face to his operation, allow people to touch the products he sells, and to deepen the connection to the coffees the shop features. This past summer that idea became a reality, and Kurasu opened a cafe/showroom minutes from Kyoto Station. It’s a place where visitors to Japan and locals can sample featured roasters from throughout the nation and check out some of Otsuki’s favorite merchandise. The design of the cafe has many similarities to their collection—it’s clean and functional, but uniquely Japanese. The layout is streamlined and open, and the subtle details, such as the white ash counters and the araidashi floors (pebbled laden concrete traditional to Japan), give it a quiet elegance. Coffee is a global product, from seed to cup it’s touched by countless hands across the world. As this global community is pulled closer together sites like Kurasu offer a bridge to other coffee cultures. 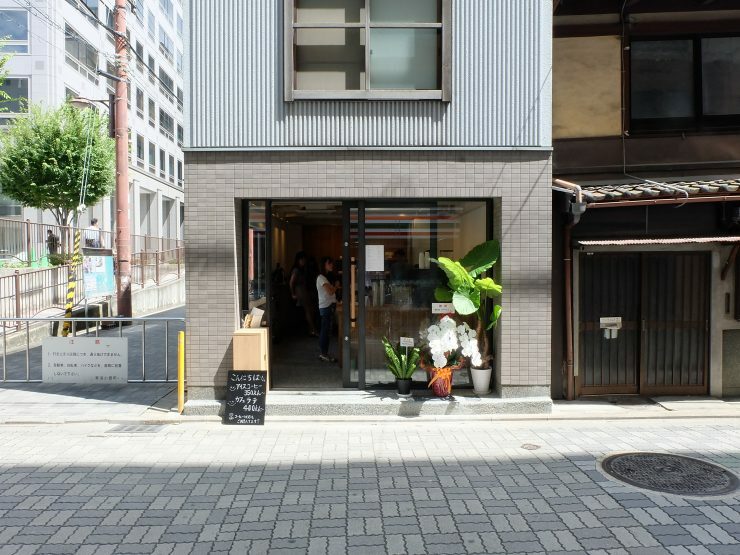 “We wanted not just to be a provider of Japanese coffee equipment, but to focus on the education of the Japanese way of home brew, the Japanese coffee culture, and the art of coffee itself,” says Otsuki. The roaster may speak a different language and the cups may be a different size than we are accustomed to, but there is a familiarity to all of it—a shared experience. Kurasu is located at Kyoto, Shimogyo Ward, Higashiaburanokojicho, 552. Visit their official website and follow them on Facebook, Twitter, and Instagram.